May buy any quantity. May redeem any quantity for groups. Online registration required. Enter your voucher number in the "promo code" field during online registration. Must sign waiver online. Children under 6 years of age are free. Registration closes on September 4 at 11:59 pm. Valid through: Sep 4, 2013. See the terms that apply to all deals. 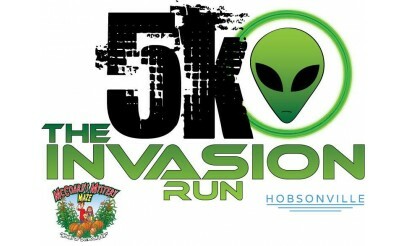 The Invasion Run is a 5K, alien themed, night race that will be held on September 6, 2013. The race starts at 8:00 PM at McCoard's Mystery Corn Maze. 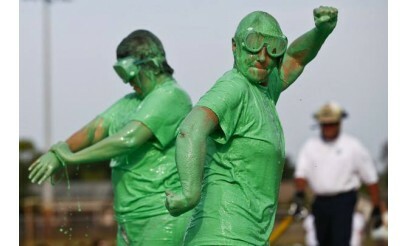 Participants will race through crop circles, Area 51, the slime dump, and the Alien Mothership. Everyone will receive glow sticks in their race packet! Visit www.InvasionRun.com for more information. Click "Register" and you're done! The Invasion Run 5K is a charity event hosted by Rising Star Outreach. This non-profit organization brings hope and dignity to children and families afflicted by leprosy in Southern India. Click here to learn more about Rising Star Outreach.